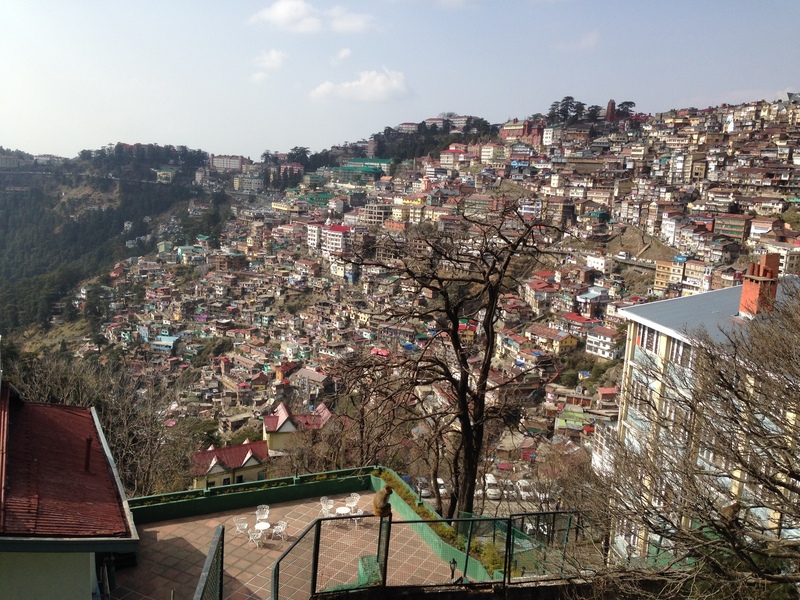 We travelled for a full day by road from Dharamshala, and we were relieved to stretch our legs for a short climb up a hundred or so steps leading to our Shimla hotel. Until we had been climbing for a few minutes, that is, when relief was replaced by exhaustion as the altitude began to get the better of some of us, me included. I was gasping by the time we reached the reception at Clarke’s hotel. The establishment is elegant, and the service impeccable, but the view from our window was truly depressing: a huge shabby concrete building, a crowded road, and vehicles jam-packed into tiny car parks or on the pavement below. 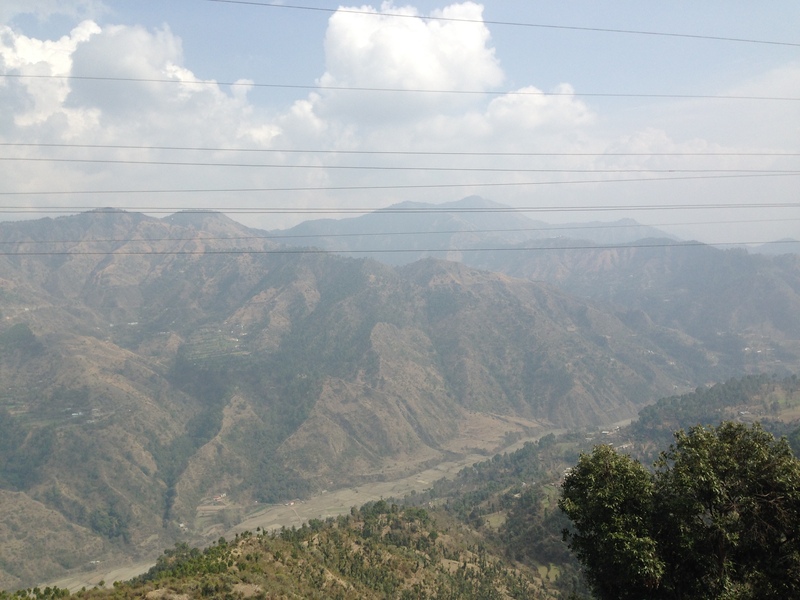 We had expected sweeping views of the Himalaya. The rooms were comfortable, but there was no free wifi – shock, horror for some of us – and none of our plugs fitted the hotel sockets. The food and bar drinks were expensive, but the ambience was genteel and the waiters looked very dashing in their long coats and turbans. For around 130 euro per night, it wasn’t a bad deal. 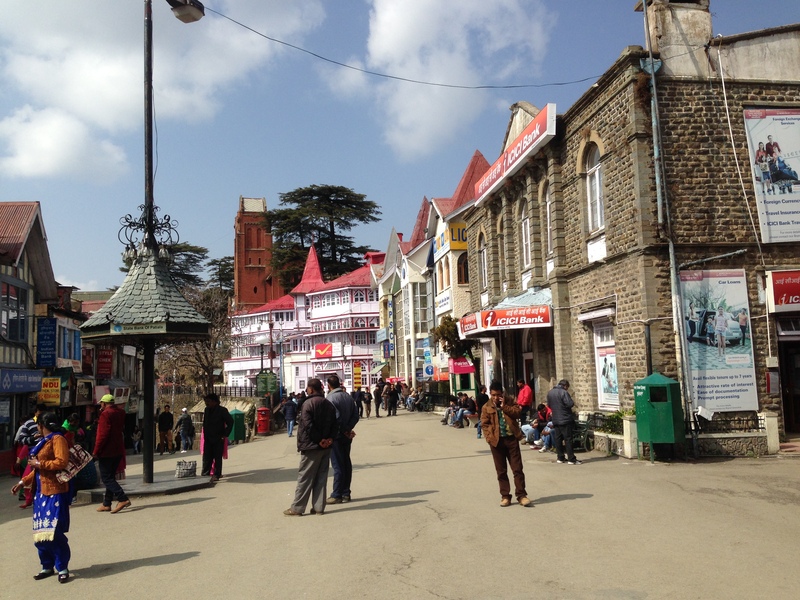 During their rule, the British made this town their summer station, moving lock, stock and barrel by horse and cart, up the mountain road to escape the oppressive heat of Calcutta, and ended up spending more time at this ‘hill station’ at 7,000 feet, than in the sweltering capital. 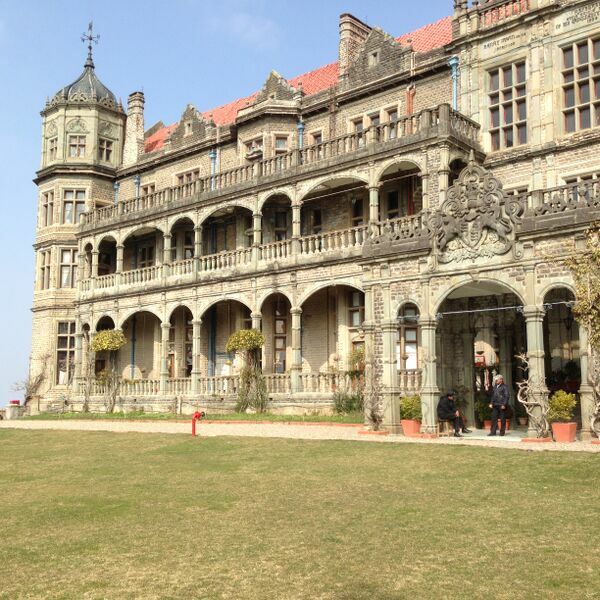 The small village was discovered by Captain Charles Kennedy in the early 19th century, became popular with the British in the 1830s, and in 1864 became the summer headquarters of the British Government in India. Enticed by its salubrious character, the ladies arrived first, followed by their officer husbands…. and then the parties started. And party they did, entertaining themselves with clandestine affairs in between visits to church and games of cricket and tennis. We ventured to a vegetarian restaurant where we dined exquisitely on green pea pulao and methi paratha with fresh lime juice for 233 rupees (3.5 euro), and returned to the hotel bar for a glass of wine which cost twice as much as our meal. 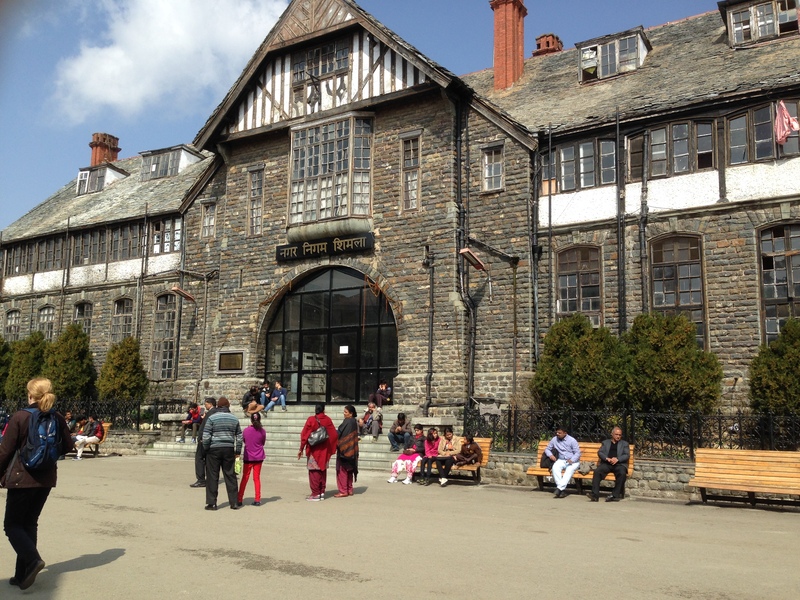 Next morning we were driven to the Vice Regal Lodge for a glimpse of past luxury, followed by a leisurely stroll along the famous Mall, where no Indians were once allowed. The Lodge is full of memorabilia and original furniture, and it was easy to picture the formal receptions for visiting dignitaries or royal Indian princes. The signatories to the partition of Bangladesh and Pakistan in 1947 would have mounted the wide stairs, as would those on their way to the ballroom for a lavish party, or to the wood-panelled dining room decorated with coats of arms for a sumptuous feast. As we ambled along The Mall, I tried to picture characters from fictional stories about the British in India: moustachioed colonels accompanied by pale, lace-clad ladies swooning in the heat, and dashing young soldiers in britches, all being duly waited upon by shy and servile turbaned Indians. Passion rising in their muscular chests and heaving breasts, decorum dictating their behaviour at all times. Except occasionally, when the climate clearly became too much, overwhelming their restraint. Apparently a young British woman eloped on horseback with her Indian lover, prompting Kipling to name their meeting place ‘Scandal Corner’. I pondered on the rich and poor divide, which despite so-called progress, seems to be as much in evidence in these days as it was in those. While tourists barter over silk pashminas, skinny young lads run errands, weaving between the more fortunate visitors to the town. 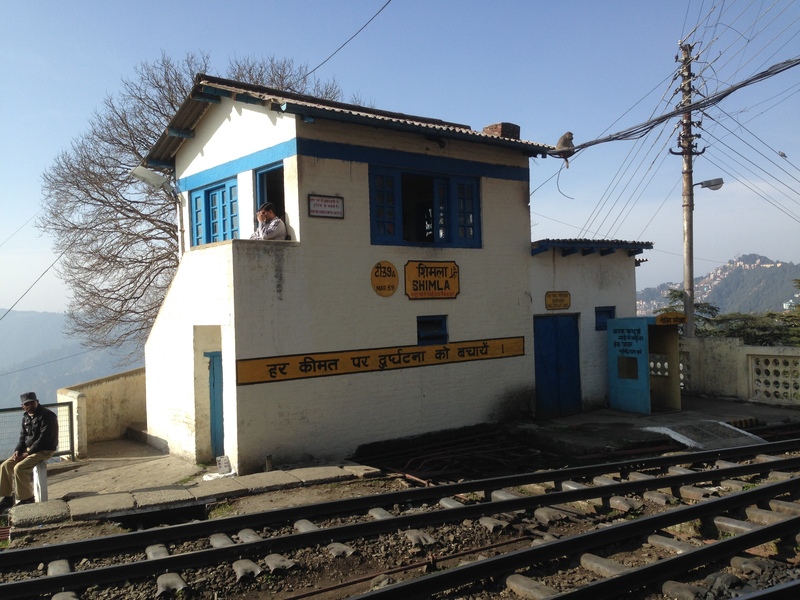 For once we were not obliged to rise early on our second morning, as our short Toy Train ride from Shimla to Solan didn’t start till 10.30. The track was covered in scampering monkeys, and the platform crowded with noisy, boisterous schoolchildren, some of whom kept pestering their mothers to buy them biscuit and cake snacks served from rusty buckets. 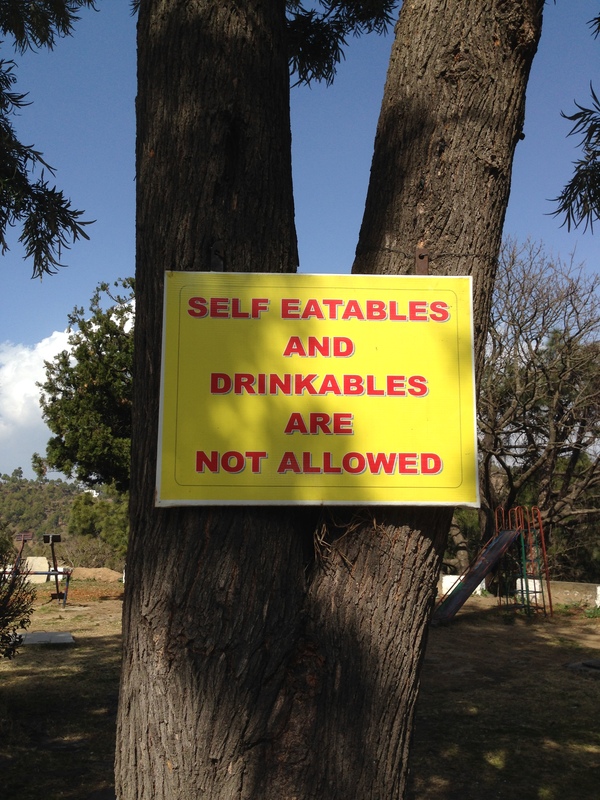 We saved our appetite for the second part of our journey, after stopping near Solan for an outdoor picnic lunch of vegetable sandwiches and tonic water at a government run conference centre in the hills. 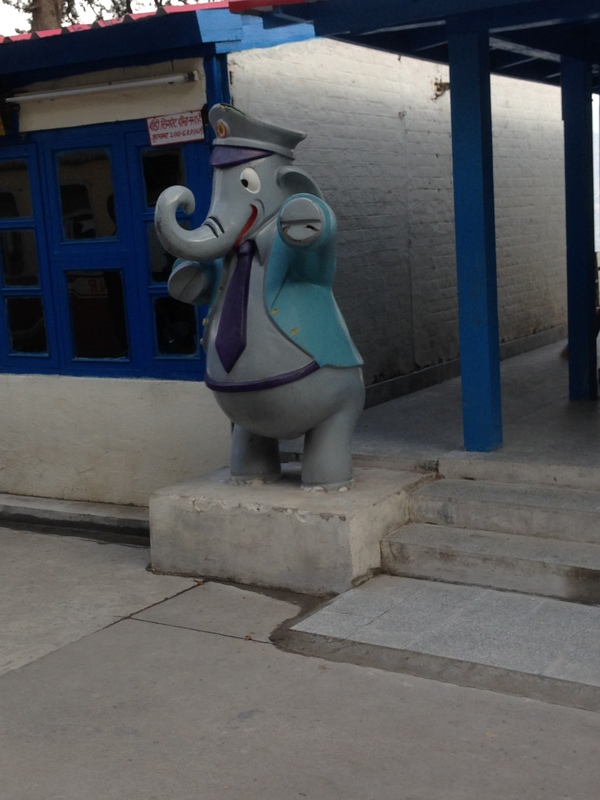 From there we drove to Kalka, where we continued by train to New Delhi. Dinner was served on board, and seemed endless: starter samosa-type snacks, biscuits, dal, rice, spicy tofu, yogurt….and of course, tea, or chai as it is called in India. The carriage was packed; whenever I travel by train in India, it seems the world and his wife are on the move. I often wonder where they’re all going and why. It was a long day, and when we turned in at 10.30 that night in Delhi, we had a real variety of sights and sounds to recall, from elegantly shabby Raj buildings, narrow gauge, grass-covered railtracks, smells of spices wafting in the air, picnic tables set out in the hillside sunshine, monkeys, children’s whines and yells, and blasting car horns. At the thought of the busy day ahead of us, sightseeing in New Delhi, we drifted off to sleep. 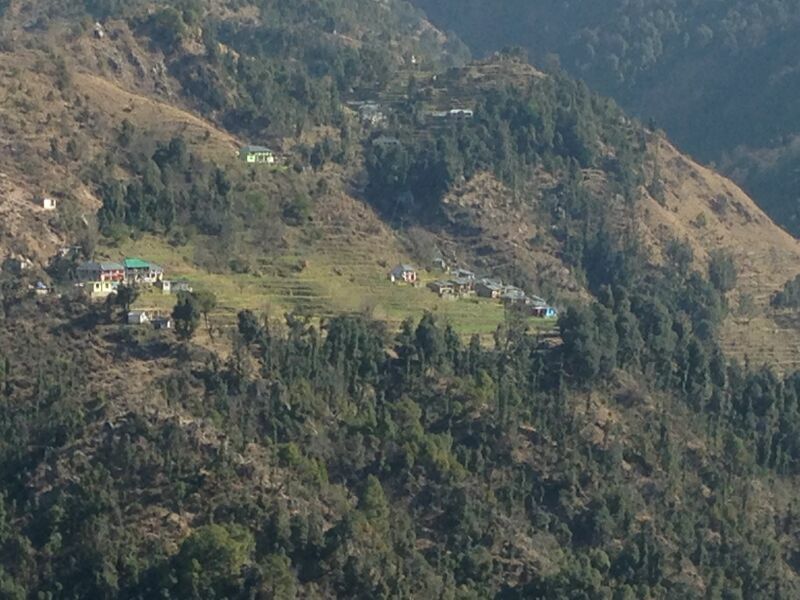 ← Dharamshala: a mini Tibet?